One of the biggest compliments I heard when I was wearing the new Samsung Gear S3 smartwatch was that it looked like a real designer watch. And that’s exactly what Samsung was going for. 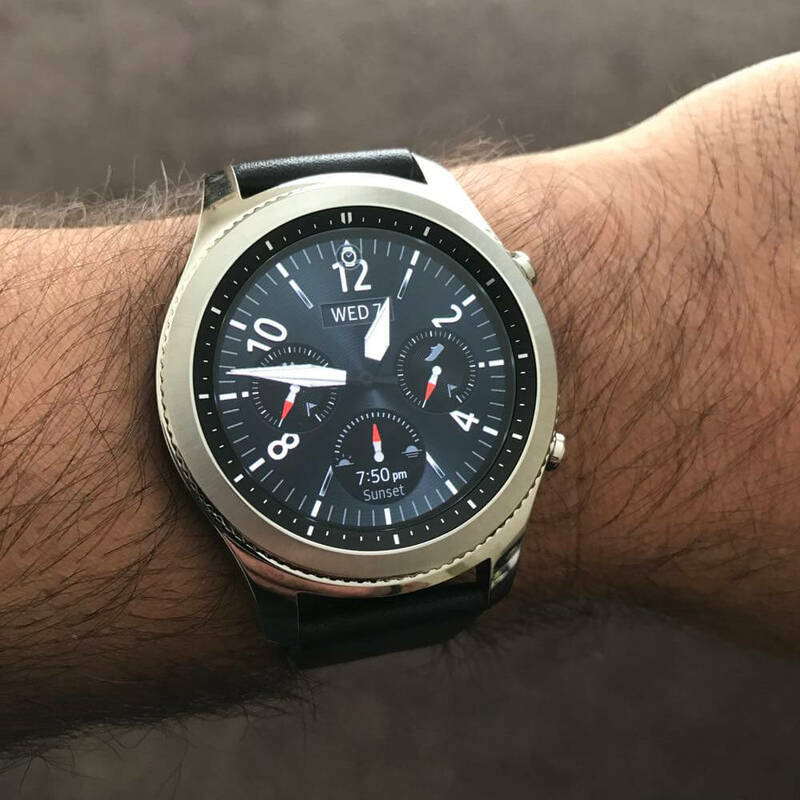 The Gear S3 was designed as a watch first before it was developed as a technology product so it would appeal as much to a watch lover as it would to a lover of technology. Samsung created two timeless designs – Classic and Frontier. Classic (which is the watch we reviewed) has a silver Sunray brushed finish, traditional style crowns and a classic leather band. Frontier is black with accented buttons to give it a rugged outdoor look. Both would look right at home whether you’re in a business suit or on the beach. 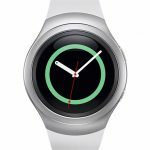 The Gear S3 is compatible with a standard 22mm watchbands but Samsung also has quite a range to choose from as well. In terms of look and feel, the Gear S3 is bigger than the previous model and exudes higher quality than its more plastic predecessor. 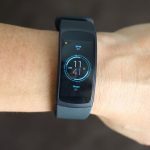 The device also has a built-in speaker and microphone this time so you can now make calls from your wrist with surprising quality as well as hear your voice messages. Users can talk to the Gear S3 to set reminders or call or text anyone on your contact list. You can even play music through the speakers and stream from third-party apps like Spotify and My Music Cloud. Also included is built-in GPS. 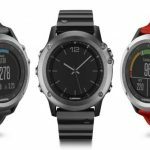 This will make the Gear S3 even more attractive to customers looking to use the device to track their activities and to use it with popular fitness apps. 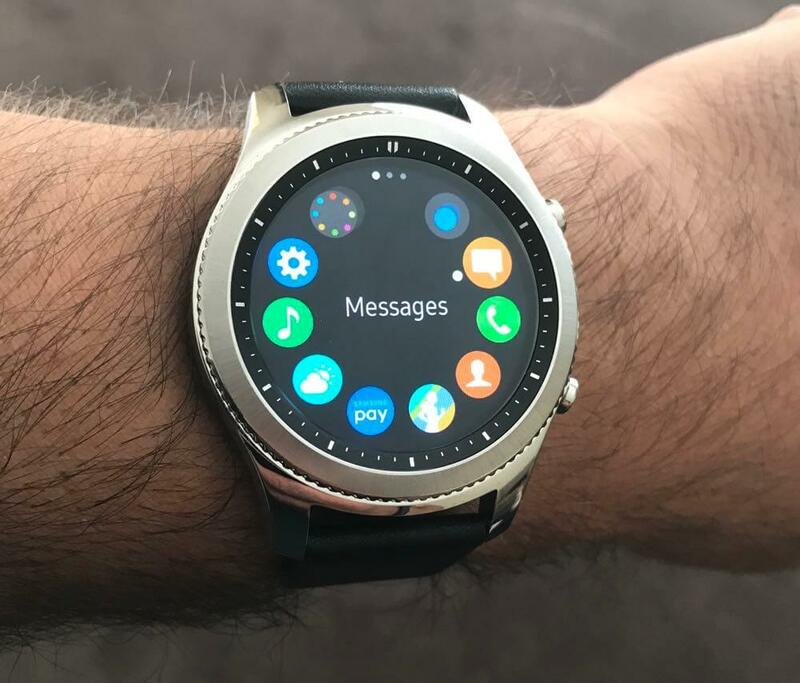 One feature it has retained is the rotating bezel around the circular display with the user interface responding to the movement to quickly answer or reject calls and scroll through your apps. 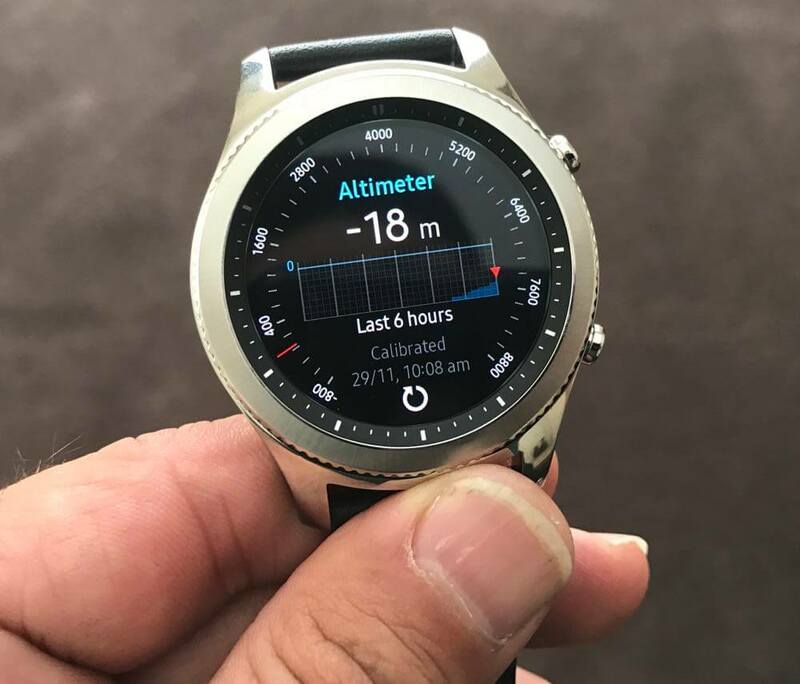 And there is no need to treat the Samsung Gear S3 with kid gloves either – it is water resistant to a depth of 1.5m for 30 minutes and has military-grade durability to resist dust and shock. The Samsung Gear S3 can pair with any Android phone that’s running the Gear companion app. 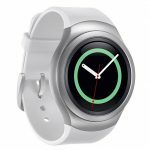 One of the strengths of the Samsung Gear S3 is the interface which is easy to navigate through the circular bezels and crowns. 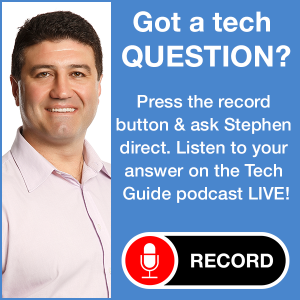 Accessing your notifications and apps are quick and easy. Speaking of apps, there are even more that can be accessed through the Gear S3 including Spotify, Uber, Yelp, CNN, USA Today, GoPro Shutter and Philips Hue. 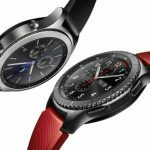 In fact, there are now more than 10,000 apps that will work with the Gear S3. There are also a number of input methods with the Gear S3. You can use handwriting mode where you can easily scribble one letter at a time on the screen or the predictive keyboard. It’s also possible to send drawings, emojis and even audio recordings. There are plenty of ways you can make the Samsung Gear S3 look exactly how you like. This could be changing bands to suit your style or whatever you’re wearing. 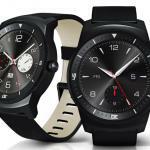 Samsung has partnered with artist and industrial designer Arik Levy who will introduce watch faces and matching bands. 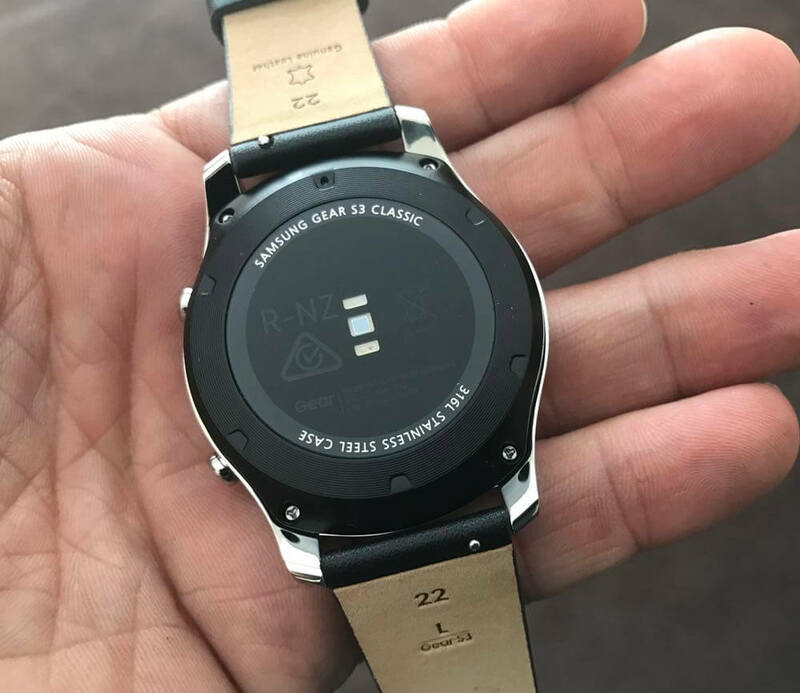 Another easy personalisation is the watch face which can be adjusted with a long press of the screen and a scroll through the many stylish choices. There are also many watch faces which can be downloaded through the Gear app. As a fitness companion the Gear S3 is an ideal choice. It can automatically detect whatever you’re doing like running, walking, cycling, the rowing machine and elliptical. And when you tell it to, it can also monitor step machines treadmill runs, pilates and yoga. 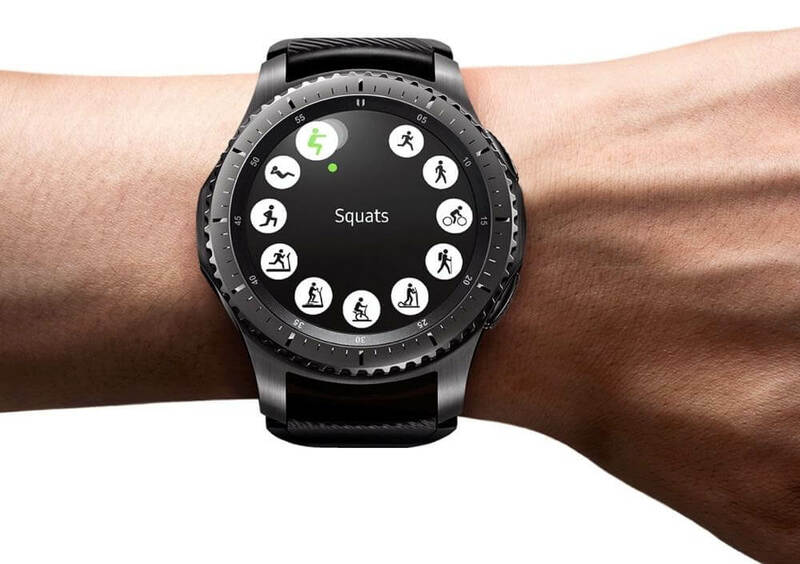 Gear S3 can also count your exercise reps as well. And, of course, all of your results can be seen on the watch and within the Gear app. 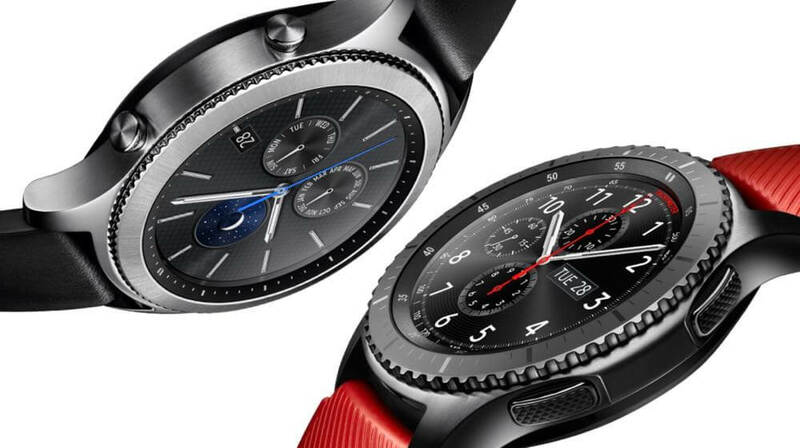 The Samsung Gear S3 is not only a smartwatch it is also an outdoor watch and has a number of features that can provide additional information and enhance your experience. One is the Alti/Barometer which can detect your altitude and changes in the weather. Also onboard is a speedometer (which uses the built-in GPS) so you can see how far you’ve travelled and your average speed, maximum speed and total travel time. 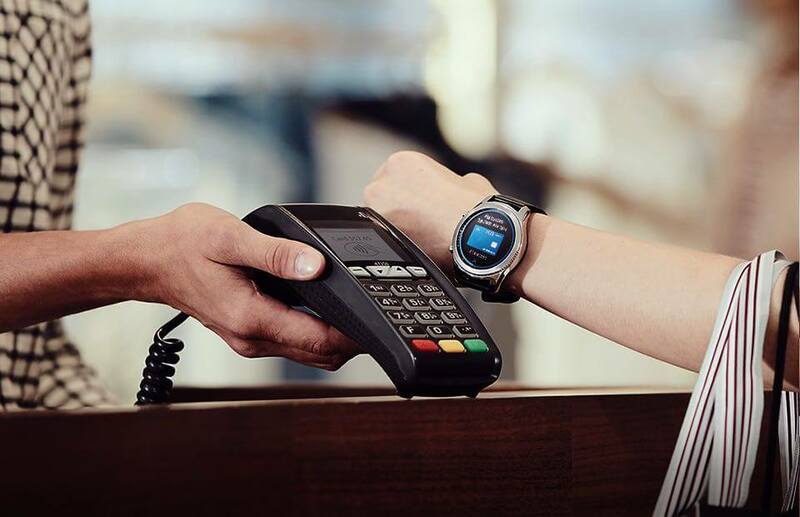 The Gear S3 can also be your wallet with the inclusion of Samsung Pay. After you’ve registered your cards, you just press and hold the back key, tap the pay button and hold it near the terminal. And that’s it! You’ve paid. Having a smartwatch means you’ve got yet another device to charge. But the good thing about the Samsung Gear S3 is that it only need to be charged every three or four days. For our use, we usually got three days out of it before it need a recharge on its cradle. If you’re using the built-in GPS more often that’s going to run it down to about two days. But to get to four days of battery, you’d have to be sitting pretty still and not get too many notifications. The Gear S3 is easily Samsung’s best smartwatch and one of the best on the market. It features the design and style of a real watch and combines that with all the smarts you’ll ever need. It’s not cheap at $599 but that’s still a pretty competitive price to pay for a watch that also happens to be a solid smartwatch as well. PROS: Looks like a watch, stylish, excellent bezel interface and operating system, water resistant, lots of apps available for it. CONS: Gear app could be better, will seem expensive to some. VERDICT: The Gear S3 is easily Samsung’s best smartwatch and one of the best on the market. It features the design and style of a real watch and combines that with all the smarts you’ll ever need.